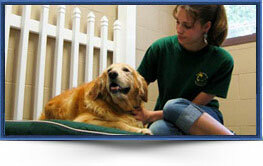 Our years of experience have shown that an active and engaged pet is a happy and healthy pet. 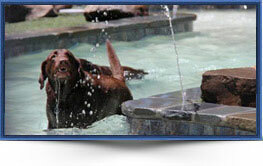 That’s why we offer a wide selection of activities to enhance your pet’s dog boarding experience. Splashing with friends, bobbing for balls, leaps into the pool – what could be more fun? If you’re a dog, not much! Our pool is also available to rent for private parties. 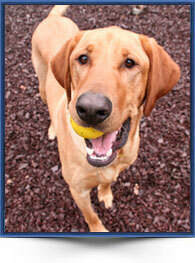 Dogs who are enrolled in our Doggie Daycare program can play for the day while boarding with us. For our guests staying 5 days or longer, our lodge & learn program is a great option if your pet wants to have fun learning or reinforcing basic good manners. A 3-day refresher course is also available. A relaxing bedtime belly rub and story will prepare your dog for a night of peaceful sleep. Provides the perfect ending to a busy day. An additional outdoor patio break after regular hours. 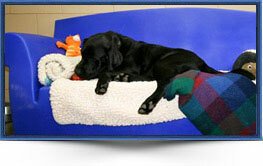 Our Reservation Specialists are trained to help you create the perfect visit for your pet. 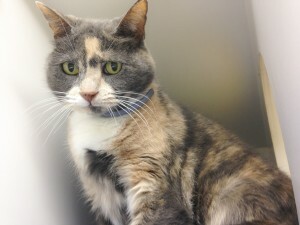 Contact them to make your pet’s reservation by calling 410-798-4776 or click here to submit a Reservation Request form.